Assuming the position of Defense Minister after several high-profile resignations, Israeli Pime Minister Benjamin Netanyahu has, for the sake of national security, warned remaining ministers against pushing for an early election. While Netanyahu is known for cleverly playing the security card in the past, there’s no guarantee that it will be enough to hold his crumbling coalition together this time. The crisis was sparked by the resignation of hawkish Defense Minister Avigdor Lieberman, due to his outrage with the ceasefire deal agreed by Israel and Palestinian armed group Hamas. I would like to say that now when we are witnessing one of the most difficult periods in terms of security, we cannot topple the government and hold an early election. That is irresponsible. A week ago, Israel and Hamas were on the brink of a large-scale conflict after Hamas fired more than 400 rockets and mortars at Israel, while the IDF retaliated by sending its warplanes to bomb around a hundred sites in Gaza. When a truce was reached through UN and Egyptian mediation on Tuesday, Lieberman blasted the deal as “capitulation to terror” and quit. The Defense Minister didn’t go alone, but took his whole Yisrael Beitenu party with him, which left the coalition with just a single seat majority in the Israeli parliament. Following the shock move, Netanyahu’s partners said that the government won’t be able to work effectively anymore and mulled an early election. “We remember well what happened when sources from within the coalition caused the government’s dissolution in 1992 and 1999, leading to the Oslo disaster and the disaster of the Second Intifada,” Netanyahu argued, during a government meeting on Sunday. By the ‘Oslo disaster’ he meant the initiation of the historic yet fruitless peace process with Palestine after secret talks in the Norwegian capital in 1993 under Prime Minister Yitzhak Rabin. As for the Second Intifada, it was a wave of violent attacks against Israel by Palestinians, provoked by the visit of then-PM Ariel Sharon to the Temple Mount. 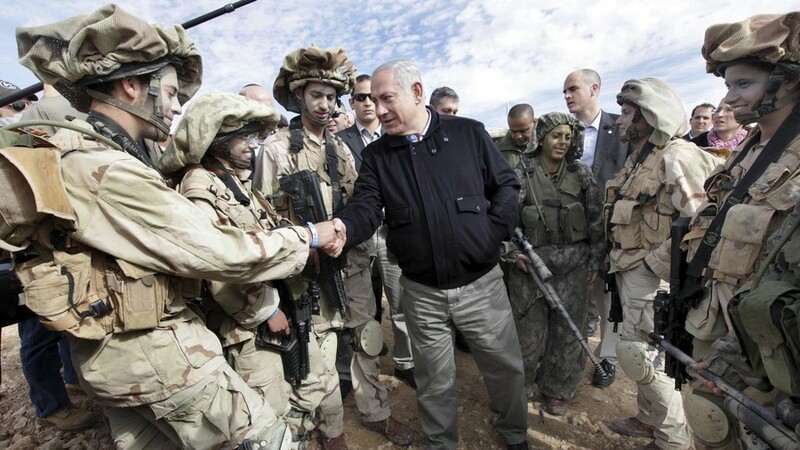 Despite Netanyahu announcing that he would take the defense minister portfolio only temporarily, Haaretz sources indicated that he intends to keep it in the near future. But his main coalition partners from the Habayit Hayehudi party insist that the job should go to their man, Naftali Bennett, who now holds the post of Education Minister. Unless the defense minister’s portfolio is given to Bennett to rescue Israel from the serious crisis of confidence in security that it is in, there is no point in the existence of a left-wing government. “The public is fed up with voting right wing and getting the left,” Habayit Hayehudi said. Netanyahu met with Kahlon on Sunday in order to find a solution to the deadlock, but the talks brought no results. They agreed to meet again next week, with Kahlon telling Israel Television News Company that the PM would need to “pull a rabbit from a hat” to keep the government running. Despite his high ratings, Netanyahu dreads fresh elections as the corruption probe against him might potentially disqualify him from the vote. Investigators believe the PM provided favors to two media groups in exchange for favorable coverage and also received gifts worth $280,000 from businessmen.